Girls are not afraid of the mud. We just let the men think we are. Then we show them what we're made of! A super fun Hen weekend begins when you choose the Bristol Best of the Outdoors Package. You will be experiencing an adrenaline rush like you've never experienced before. Sure, you still get your all girls share room accommodations, the Comedy Club jokes that will make you laugh till it hurts and the Nightclub dancing. But boy, will you be in for an adventure of a lifetime! Quad Bikes and Max Cat Driving are the order of the day! Feel the power of these machines and then take control. You are on the driver’s seat and as you and the girls master the course, you'll show the boys how it should be done! Depending on the final number of hens going on this weekend package, you will be sharing a room or two. Just imagine all the fun, the sharing and the gossip you'll be having with this wonderful group who have been with you through thick and thin. The bonding you'll have with your girls is priceless. If you want an upgrade on accommodations, give us a call and we'll let you know your options. Friday Night: Comedy Club - Laugh Till It Hurts! You have to experience a Comedy Club to know how funny some people are! They make it seem so effortless, but these professional comedians know their craft and are at their best, making you laugh with their one-liners, put-downs and skits. It's good, clean fun. And everyone agrees, the jokes are worth repeating to friends back home! So you want a little action. Who doesn't, right? With this package, you get it with a Quad Bike. These four-wheeled machines will make your adrenaline start flowing the minute you hear the rumble of power. Test your driving skills by taking the bikes on the wild trail. Not to worry, you'll be given safety instructions and proper handling tips. 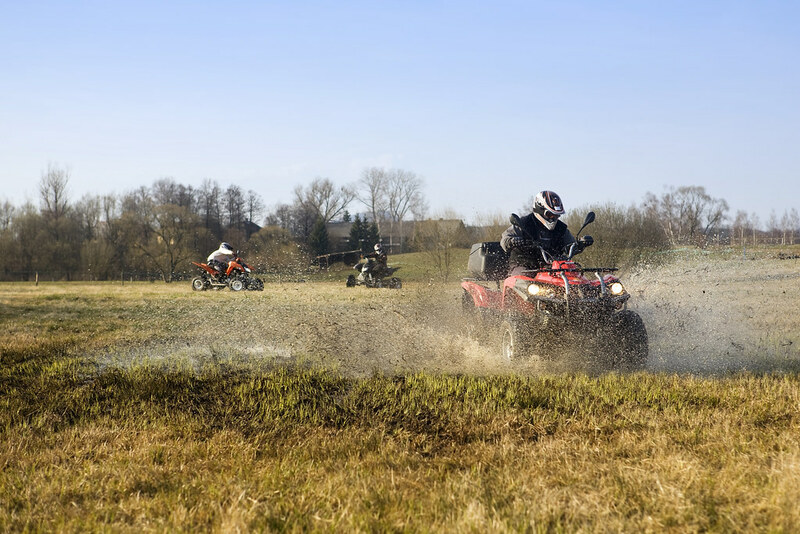 The course is specially designed to let you move easily between a fast and easy course, and the wild trail where you'll be testing yourself and what this off road machine is capable of delivering. Note: Minimum age requirementfor this activity is 16 years old. It's not a truck and it's not a bike. A Max Cat is a 6x6 skid steer buggy which is powerful enough to go over trails and tight spots that other vehicles can't get into. There is no steering wheel, just a handlebar type steering that makes it as maneuverable as a bike. With the proper steering, they can go anywhere. So once you get the hang of it, the course will be easy to handle. Of course you'll receive safety and handling instructions. You'll also be able to prove your skills on a 4x4 course, and show the boys how much better you are at the scored competition. So, who's ready to take the challenge? Your name will be on the Guest List. You will be given access to the Nightclub without waiting in a queue outside. Who needs to wait when you're ready for dancing anyway? Have fun with the girls. Celebrate your night out and remember that friendships are what this weekend is all about! Please give us a call to discuss options and other upgrades. Prices may also vary depending on dates of travel.